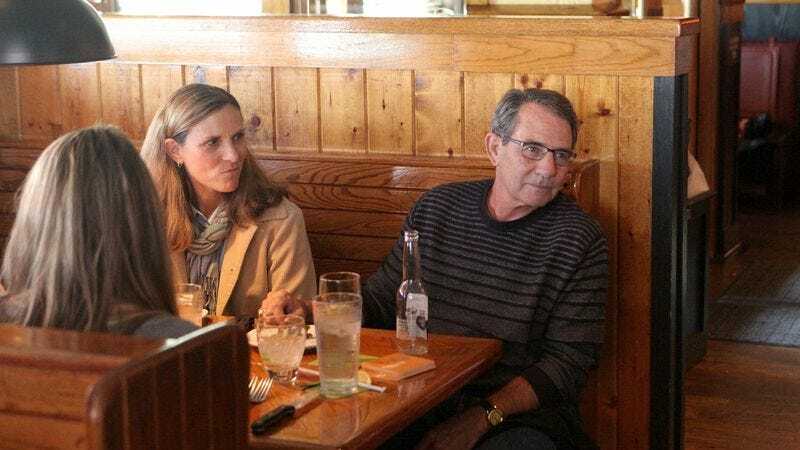 CLEVELAND—Struggling not to openly show discomfort, family members dining with local man Louis Munson sat quietly on Sunday as Munson peered intently in the direction of Olive Garden waitress Layla Martinez. Munson, who first noticed the 23-year-old brunette as she walked past carrying another table’s pasta entrees, reportedly gazed at her for approximately 12 seconds, lingering on certain features of her anatomy while his fully aware wife, two sons, and daughter watched in silence. Though the family’s unease had largely passed by the end of the meal, sources say it was re-sparked when Munson suddenly noticed Martinez from across the restaurant bending down to tie her shoe.